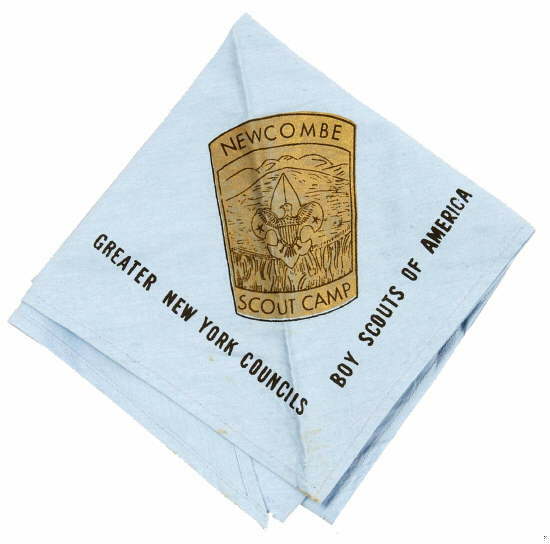 Camp Newcombe was one of the short-term camps of Greater New York Councils from the 1930’s until the 1960’s. It was located on Long Pond near Wading River Long Island. It was a small camp, approximately 45 acres on a 40 acre natural lake. It was also used at least for a time in the 1930’s as a lone-troop summer camp. It contained 4 Lodges and 8 small cabins as well as a number of tent sites. I am only aware of a single piece of memorabilia issued for this camp. I’d be interested in information (or a trade on any other items issued for this camp. when camp newcombe closed, my dad was the last ranger in charge at that camp. I recently came across a neckerchief slide as well. I got a flyer of an event at this camp in 1940.